VW: Das Auto. Die Lüge. -- The Car. The Lie. Time discovers truth, though sometimes it can take years to be discovered. In the case of Volkswagen, who started selling their first emission-test-cheating diesels in 2009, it took six years for the truth to be revealed, and now we all watch in disbelief as a giant in the auto industry comes tumbling down. This was the year Volkswagen achieved their lofty goal of becoming world #1, surpassing Toyota as the largest automaker in the world. Their website boasts impressive stats: with nearly 600,000 employees worldwide producing over 40,000 cars per week, last year they delivered over 10 million cars. With Volkswagen Group owning 12 brands worldwide, including Audi, Porsche, Bentley, Bugatti and Lamborghini- they have an almost 13 percent share of the world's passenger car market. But the appeal of a brand goes far beyond producing large numbers of product. As a manufacturer, you want your brand to mean something personal to the customer. VW was very good at this. They had a smart marketing department behind them who made sleek, often funny car commercials. (After the emission scandal story broke, VW's clever clean diesel ads were swiftly pulled from the VW USA YouTube account). They endeared themselves to us by making their cars lovable and giving them personalities. They gave us the cute VW Beetle, VW Bug in the USA, featured in movies like Herbie The Love Bug. Owners would attach eyelashes to their VW Bug headlights to give their cars even more personality. They gave us the beloved VW bus often seen at Grateful Dead shows or with surfboards on top. When Jerry Garcia died, a shirt depicting a VW bus with a teardrop shedding from one of its headlights was sold with the words "Jerry Garcia 1942-1995." If surfers and Deadheads thought Volkswagen was cool, so did the rest of us. The brand was iconic, and partly because of how culture had wrapped itself around the company -- we trusted them. Now we find out that, at least since 2009, that trust was not deserved. Nearly 500,000 VW and Audi vehicles in the United States are included in the diesel emissions-cheating scandal -- which now includes 11 million vehicles worldwide. The scandal caused VW to lose $26 billion in market capital in just two days -- 31 percent of their value. They may also be facing serious criminal charges. Countries currently investigating VW beyond the United States include Germany, India, Norway, South Korea, Australia, Switzerland, and Canada. VW has set aside over $7 billion to deal with the fallout from the scandal, but that hardly seems to be enough -- they face up to $18 billion in fines from the EPA in the United States alone. There will be plenty of other financial damages coming from betrayed VW owners -- so far 89 federal cases have been filed in the United States, and surely many more will follow. Volkswagen had a lot to lose -- and when you have so much to lose, why would you decide to lie on such a grand scale and risk losing it all? I think the answer lies in their goal to become the largest automaker in the world -- apparently at any cost. They achieved that goal just before sliding off the slippery slope that only comes with such a grand deception. How far they will fall remains to be seen. But one thing is certain: When the largest automaker in the world tells a lie this big for six years, it will be a very long road to recover their reputation, assuming that is even possible. To assist in this recovery, VW has hired the same law firm that worked for BP during the 2010 oil spill in the Gulf of Mexico. 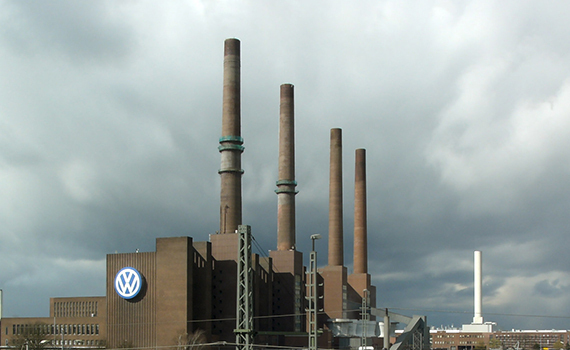 Volkswagen owners are outraged, as they should be. For most people, purchasing a car is likely the second most expensive purchase we make after our house. Considering houses aren't branded, our car purchase is the biggest brand-based decision we will ever make. It's also one of our most personal devices, used by many on a daily basis. Unlike a cell phone purchase, the commitment to buy a car lasts for many years. According to a study in 2012, Americans were holding onto new vehicles for a record 71.4 months. We are also putting far more at risk when we purchase a car: we are trusting car manufacturers to build us a safe car, one that will protect us and our loved ones in the case of an accident. We trust them to deliver the product they have sold us -- in the case of Volkswagen, a car that is better in comparison to competitors for the environment. Considering all these reasons, it's not a big surprise that the car manufacturer we choose is a decision people don't take lightly. Most will make their decision to purchase because they feel trust, and sometimes loyalty, in the brand they choose. I am a lover of cars, and like many people around the world, I am fiercely loyal to the companies I love. I've only owned three cars in my lifetime. The first two were Volkswagens. My second was a VR6 GTI that I adored and drove for 15 years. As my GTI was coming to the end of its life, I found myself spending a lot of time at my local VW dealer's repair shop. The manager kept trying to sell me on clean diesel but I argued that VW was missing the boat and that electric cars are the future. He believed in clean diesel and would not accept any of my arguments for electric. Upton Sinclair once said, "It is difficult to get a man to understand something when his salary depends on his not understanding it." I haven't been to a gas station since September 2013 when my electric Tesla Model S was delivered. One of the first stops I made in my new electric ride was my local VW repair shop. They didn't want to admit it, but they were beyond impressed. Since then, I've driven over 29,000 miles in my Tesla Model S, and with the solar panels on the roof of my house providing more than enough power for both my home and my car, I am quite literally driving on sunshine. So VW owners, trade in the clean diesel lie for an electric car, put some solar panels up on your roof and discover how fun it is to wake up with a full tank of free fuel every morning thanks to that giant nuclear fusion reactor in the sky that never stops showing up, works wirelessly, and doesn't cost a dime. Welcome to the electric, sunlight revolution. It is going to change the world.